Rugby Philharmonic Choir has been proudly performing in the heart of the town since 1867. Furnished with an eclectic repertoire and a chorus of over 120 voices, the programme for the 2019 season reflects the origins of the choir and it’s progression over the years. 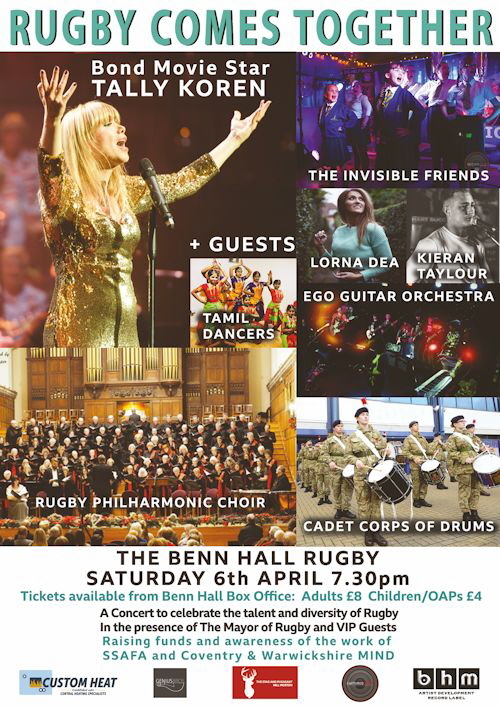 We are thrilled to be asked to take part in ‘Rugby Comes Together’, the Mayor’s charity concert which celebrates the diverse musical talent and creative spirit in the town. Rugby School’s Temple Speech Room, Saturday 6th July 2019, 7.30 pm. Rehearsals are on Tuesday evenings from 7.30 - 9.30pm at the United Reformed Church, Hillmorton Road, Rugby. New members are very welcome. If you would like to join the choir, please come along to rehearsals. Please print and complete a New Members Form and bring it along with you.